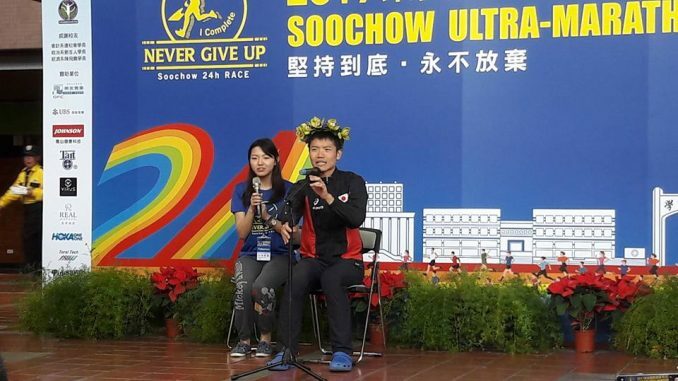 Soochow International 24 Hour Super Marathon 2017 in Taiwan finished early this morning, GMT, and was won by Yoshihiko Ishikawa (JPN) with 266.938 km. Toshiro Naraki was second with 261.605 km a personal best and Frenchman Stephane Ruel was third with 259.178 km. 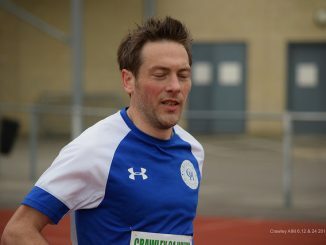 Dan Lawson who had been second for some time struggled in the latter stages finally finishing 6th man with 241.205 km, such was the calibre of this event. 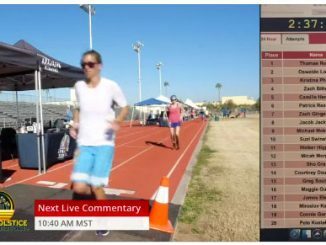 Courtney Dauwalter, after flexing her muscles at Moab in mid-October set a new American womens 24 hour record of 256.405 going beyond Katalin Nagy’s previous record of 250.622 set in Belfast in July this year. Katalin covered 198.4 km for second place and Liang Yun Yi (HKG) was third with 196.762 km.